It is more than fifteen minutes before the official departure time. There is no time to lose. If aeveryyone is on board, the plane can go. Right? Forty minutes later the flight of 250 kilometers from Ho Chi Minh City to Con Son Island it. "We're going away, because our resort "has arranged everything. "We sleep in Six Senses Resort. This is an exclusive resort here. World class. Really. Where do you sleep? " "No idea. I booked anything, but this is Six Senses something for me?" 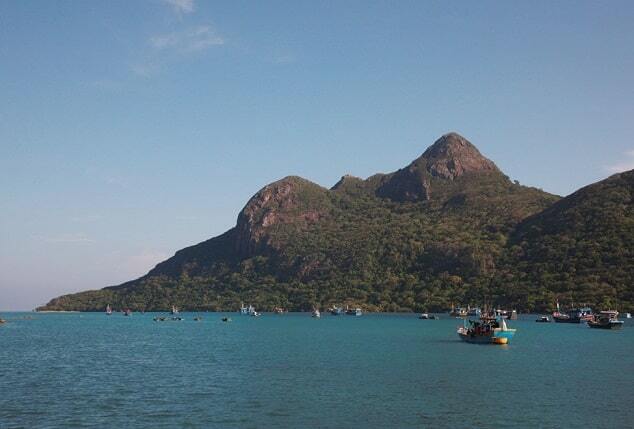 "
The Con Dao Islands - are a group of islands 16, which is the largest Con Son. The islands are separated around 15,000 years ago from the mainland and this made that many animals have developed differently than on the mainland. The whole archipelago is under the supervision of the Con Dao National Park. 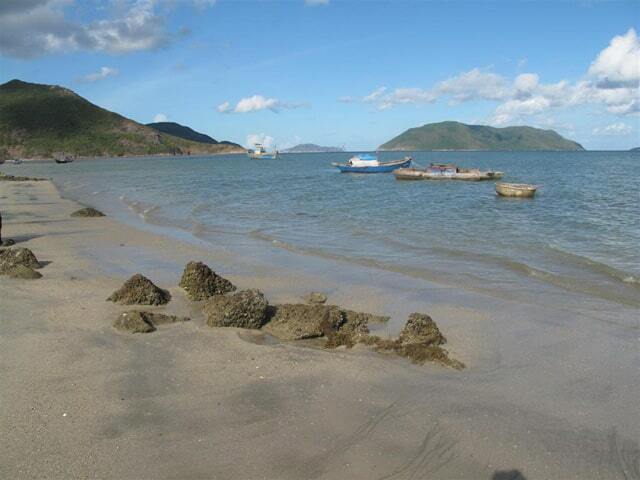 The islands are located about 185 kilometres from Vung Tau in the South China Sea. On the islands you will find beautiful beaches and hidden lagoons. But for the few tourists who come here, Con Dao is a paradise off the beaten path. Provisionally at least, because on the largest island (Con Son) is an airport where VASCO (Vietnam Airlines) lands regularly. 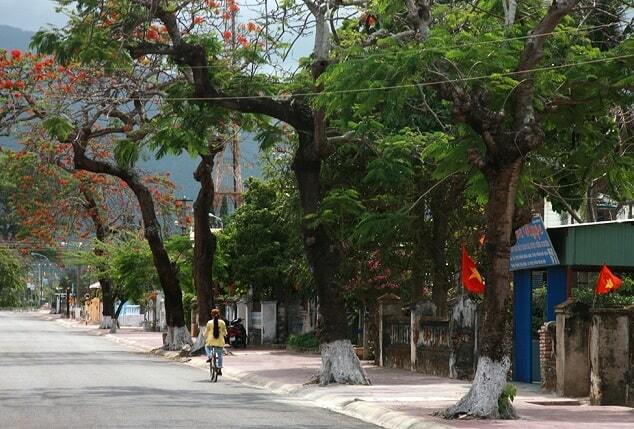 There are in Ho Chi Minh City travel agencies where you can book a trip to Con Dao. You better book by an official Vietnam Airlines office or via their official website to avoid complications or scams. 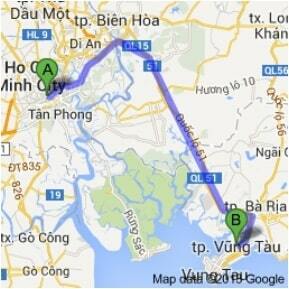 There is also a ferry that leaves from Vung Tau. It leaves in the morning at 5 am and takes 12 hours. Let yourself be well informed, because the ferry leaves not in the centre of the city. When you arrive in the capital of Con Son, the city breathes an atmosphere of peace and prosperity. The main boulevard is a pleasure to walk down with its villas from the French colonial era, some dilapidated, others converted to hotels. In the vicinity of the boulevard is the local market, where between 7:00 a.m. to 09:00 is the busiest time of the day. It is a must to stop at midnight at the tomb of national heroine Vo Thi Sau. You will probably see dozens of people who praying, burning incense or sacrifice anything. The stately appearance and character of the city is considerably tempered by the presence of several prisons, cemeteries and memories of the historical role of the island as a penal colony. In 1703 Con Dao was founded as an outpost of the East India Company. During the French colonization the island, however, became a penal colony of the French. The island was known as Devil's Island. Thousands of prisoners languished here. Prisoners were detained in the ground under appalling conditions in pits. During the American war were held here Vietcong soldiers. You can still visit the prison and there is a small museum. Today, life guards and former prisoners in peace together on Con Dao. Con Dao is a beautiful counterpart to the busy cities on the mainland. The Con Dao Islands are a work of art from Mother Nature. It is a place where travellers want to stay three days of their trip, but they end up spending three weeks. Snorkelling, diving, walking, hiking or just lazing on the beach are everyday activities on the islands. The largest part of the island is covered by jungle, which is full of the associated flora and fauna. There is the black squirrel and crab-eating macaques. But the most famous animal is the dugong or sea cow. With an estimated population of 8-10, this are rarely seen. There is an important breeding program for turtles on Bay Canh island near Con Son island. A trip to this island can be booked at the National Park Office in Con Son. You will probably see your turtles lay eggs. The season for this is from June till early September. Scammers like to sell you a ticket off-season. Do not do this, because the journey is not cheap. Walking through the jungle can be booked at the National Park Office. Some hikes require a guide. A part of the path is marked, so a local guide is very useful. The majority of the guides only speak Vietnamese. Would you walk yourself? That's doable. There is good information available to walk himself. There are free maps at "Dive! Dive! Dive!" and "Senses Diving". The islands have a very nice beaches. Con Dao has the best swimming, diving and snorkelling opportunities in Vietnam. The coral is relatively unspoilt and very impressive. The marine life includes sea turtles, rays, giant barracudas, octopuses, cobia's, manatees and a host of other tropical reef fish. There are sixteen islands to choose from. Clarity of the water varies from 10 meters to 20 meters, but the view may be less in the winter with the prevailing winds. An Hai Beach is the more scenic but less remote of the two town beaches. It's located south (to the right) of the town boat dock. Long stretches of white sand with gentle surf. Several hotels directly border the northern end of the beach; however, the beach stretches continuously for a quite a distance to the south, so if you are looking for privacy you will be able to find some. Lo Voi Beach is the other town beach, located to the north. No hotels border it directly, so any hotel claiming to be located at this beach is simply located at the northern part of town. Dat Doc Beach is where Six Senses Con Dao is located, far northwest of the main town. Access via the resort may be restricted, but there is an obvious public access path to the left of the Six Senses main entrance (towards the airport). The beach is quite pretty, with white sand and surrounding mountains. (In fact, it's the Six Senses resort itself that somewhat spoils the scenery.) Unlike the other beaches, it's also kept relatively trash-free. If you have the money, you can also pop into the Six Senses resort for a drink/snack and to use their sun loungers and/or restrooms. Ong Dung Beach is to the north of town. To get here, you need to pay an entrance fee (including a snorkeling fee, if you plan to snorkel there) at the National Park Office; follow the road north past the park checkpoint; walk/climb 700 meters of stairs; and show your entrance fee receipt to the ranger station. Be careful about leaving your things unattended, as they may be stolen by the monkeys. Dam Trau Beach is to the west of the airport. The access path is to the south of the main airport entrance.